We offer all types of diets while on the Mountain, both Vegetarian diet and Non Vegetarian meals. Also we offer special diets for Gluten Special diet. 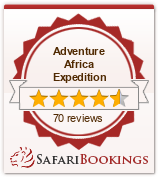 We are specialist and rated as the best Kilimanjaro Outfitter in Africa.